Just as China's Lunar New Year is being rung in, the ruling communist party is facing another major healthcare scandal. One of the country's state run pharmaceutical companies found the HIV virus present in an estimated 12,000 doses of immunoglobulin treatment, an immune therapy treatment made with antibodies from blood plasma. The state-owned Shanghai Xinxing Pharmaceutical Company, China’s second-biggest medical blood products manufacturer, notified authorities on Tuesday of the news, according to China's National Health Commission. In response, the National Health Commission (NHC) warned hospitals to immediately suspend use of the batch after the provincial health commission and disease control center of eastern China’s Jiangxi detected traces of HIV in it. This contamination is the latest in a long line of shocking failures by the Chinese healthcare system, which has included the deliberate use of expired polio vaccines on children to save money, a scandal which eventually forced President Xi to apologize, especially after public anger spilled over, resulting in protests which ended violently for the parents involved. But that paled in comparison with July’s vaccine scandal, in which 252,600 faulty rabies vaccines made by Changchun Changsheng Bio-technology, one of China’s biggest vaccine firms, were administered to thousands of toddlers. Even worse, the news comes just two weeks after the communist party announced a new campaign to fight the "rampant irregularities" in the Chinese healthcare system according to the SCMP. Back to the latest scandal, where while already 12,000 batches of contaminated treatments were found to carry HIV, the government left open the possibility that more cases could soon be found, as the company urged government officials to "continuously observe and monitor" patients who had received the treatment. Luckily, the Jiangxi Provincial Disease Control Centre which administers the region covering Shanghai Emerging Medicine Holdings, reported that no patients have tested positive for HIV at that location so far, although since this is China, one should take any and all official "news" with an uncontaminated rock of salt. Ironically, the company's intravenous treatment is used to help "strengthen" peoples immune systems and is commonly used for patients with cancer or other diseases that affect the body’s ability to fight off infections. A dosage of HIV, needless to say, would lead to the opposite outcome. One head of haematology at a Shanghai hospital told SCMP that "if this is true, it would be a very low-end error,” the unnamed doctor was quoted as saying. “Right now, the crucial point is to make clear whether it was caused by a blood donor or a problem with the product. He also said that patients treated with faulty blood plasma may not necessarily be infected with HIV, because there was an anti-virus treatment in the preparation process. “[Patients] would need to be tested again to find out whether they were specifically infected,” he was quoted as saying. 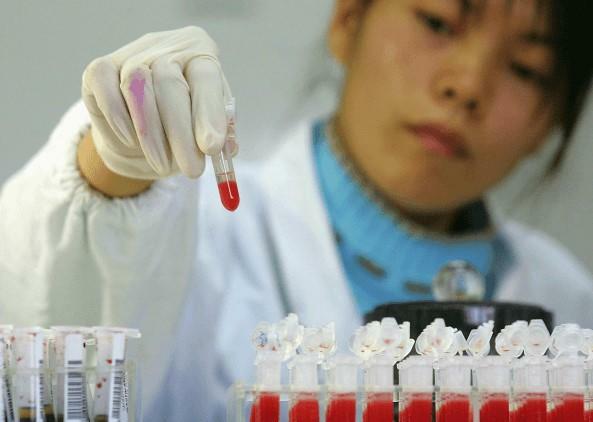 Since the scandal first emerged nobody has said how the HIV became present in the treatments in the first place, however so far, state officials have tried to place the blame for these shocking cases of medical negligence squarely on China's private sector.